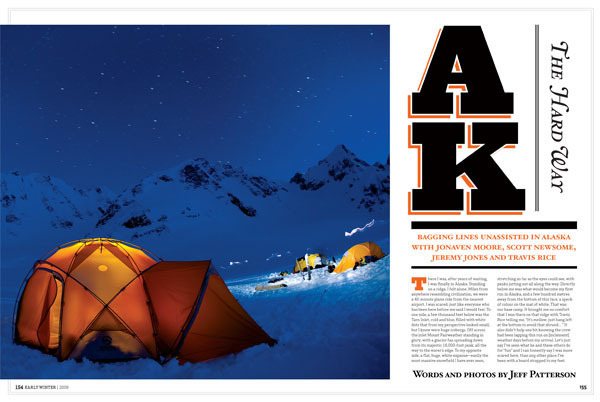 Design and Art Direction for a feature about riding remote locations in Alaska. 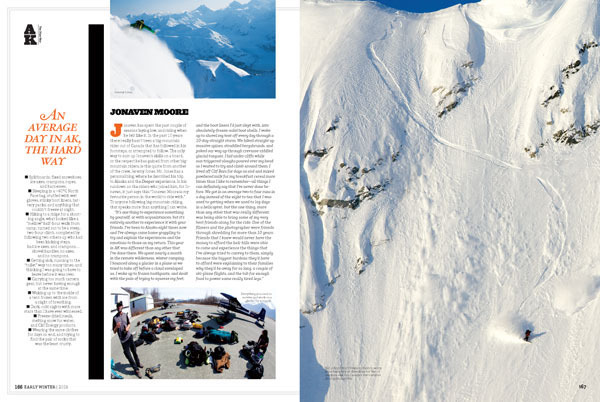 These guys hike and camp on huge mountains instead of taking a chairlift, snowmobiles or a helicopter to the top. The story is great and the photos are amazing. 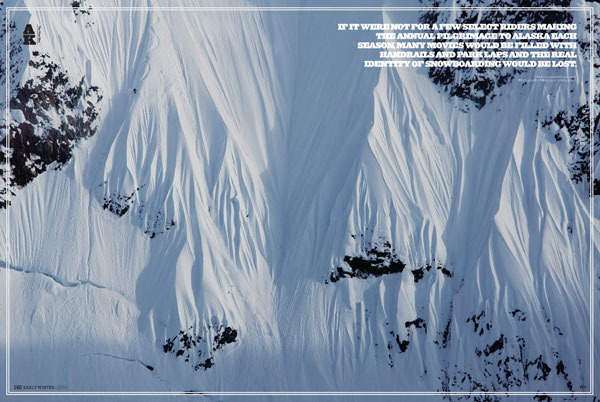 Check out the trailer for Jeremy Jones' big mountain snowboard video Deeper due out Fall 2010. 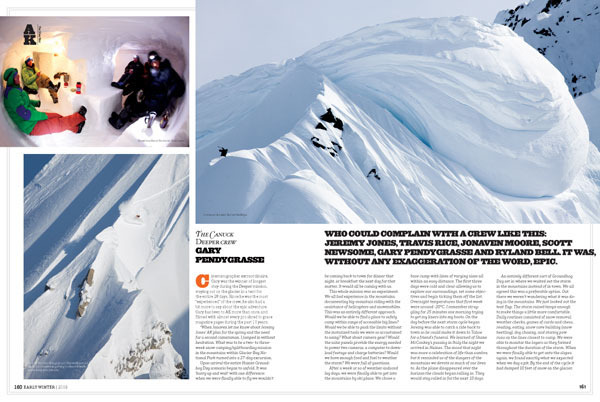 Here is a few sample spreads but track down a copy of Snowboard Canada to read the story.